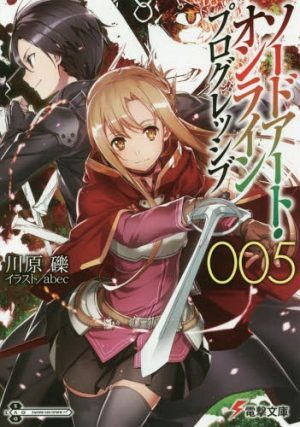 While your typical shounen action manga and romance manga are great, sometimes you want something with some mature themes and filled with a whole lot of gore and action. 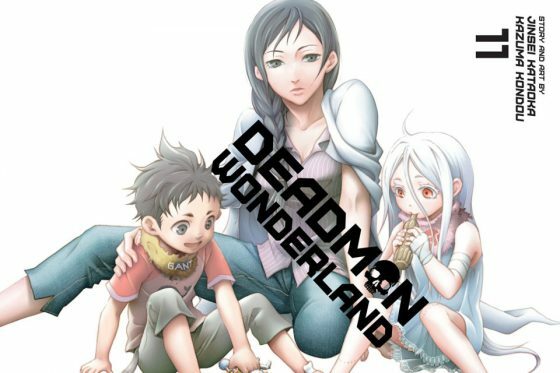 The dark and action-filled world of Deadman Wonderland has a good balance of gore, mysterious plotlines, and fight gives you just that. 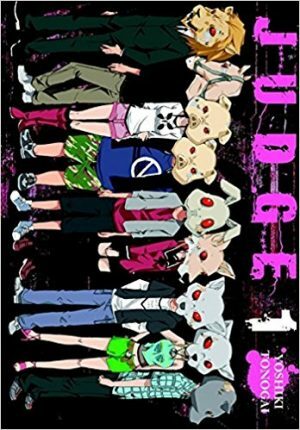 With only 13 volumes, you find you have read through it quickly and want to find a new series that gives you the same amount of action set in a dark and gritty world. 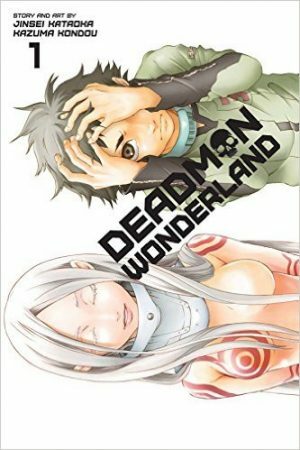 With so many manga out there, it may be difficult and time-consuming to find something that has all the things you loved about Deadman Wonderland. 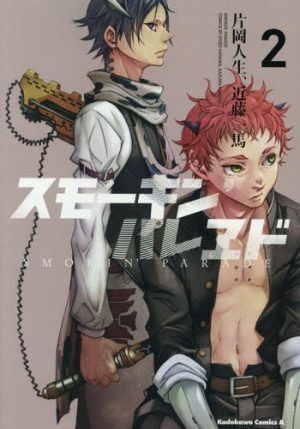 Fear not, we've put together of a list of 6 manga similar to Deadman Wonderland that will provide you with all of the dark gory action you desire. Youkou Kakujou has spent his entire life caring for his sister Mirai, who has been stuck in a wheelchair since she was little. However, the world of medical science has advanced far enough to allow doctors to create new limbs and organs for their patients with almost no side-effects. The one rare side-effect is a case where the patient loses their mind and turns into a bloodthirsty monster known as a “Spider.” On Youkou's fifteenth birthday, he runs into not only one of these monsters as well as a group of Spider hunters known as the Jackalopes. With Youko's life forever changed, he must decide on whether to live a regular life and forget what happened to him, or join the Jackalopes and hunt down the Spiders and the medical organization that is creating them. Smokin' Parade was created by the same duo behind Deadman Wonderland. Due to this connection, you will see many similar looking characters and themes between the two series. Both Ganta and Youkou Kakujou not only look the same, but they are dragged into the story due to people close to them getting murdered. Then they both end up gaining immense power by having their bodies turned into weapons. After losing everything they cared about, Ganta and Kakujou both use their newfound powers to fight against the evils that destroyed their lives. Smokin' Parade also features a heavy amount of action and gore similar to Deadman Wonderland. Childhood friends Kagerou and Momiji were living normal lives until a black mass called the Blot, fell from the sky and destroyed their city 10 years ago. Everyone eventually learns to live with the Blot in the sky, and they continue on like nothing had ever happened. Now at fifteen years old, Kagerou has developed feelings for Momiji, but Kagerou doesn't want to confess to her because he feels he is too weak to protect her. One day the Blot activates again, sending black balls and creatures called "dross" down to destroy the city again, killing Kagerou's friends and destroying his school. Momiji is swallowed by one of the black balls turning her into a dross and Kagerou loses his arm, turning him into an ember, which gives him to use his life energy to create large explosions. 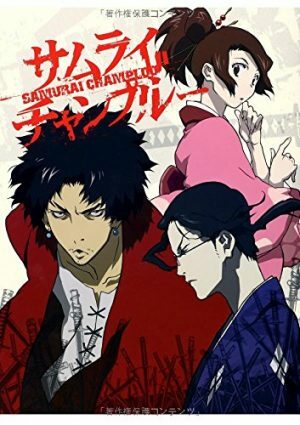 An organization comes to capture Momiji and experiment on her, but Kagerou sets out to use his new powers to protect Momiji even if it costs him his life. Deadman Wonderland and Hiniiru both start out with big catastrophic events that destroy big cities and are the cause of powers that the main characters end up receiving. Kagerou is also very similar to Ganta, with both of them starting out weak, but then gain supernatural power that they must learn to use in order to protect the person closest to them. Momiji and Shiro are also very similar, with both of them being childhood friends with the main character and protecting them whenever something dangerous happened. Momiji and Shiro also end up gaining powers that are far stronger than Kagerou and Ganta and Momiji and Shiro end up being antagonists, due to both of them unable to control their powers. Hiniiru also features similar fighting scenes to Deadman Wonderland, that incorporate a heavy amount of blood and gore. Real Account has taken the world by storm. Real Account started with the merging of many of the top social media sites and received government backing to create the largest user base the world has ever seen. Everyone, including the friendless Ataru Kashiwagi, use Real Account almost constantly and are able to gain followers and get great deals for being a part of it. 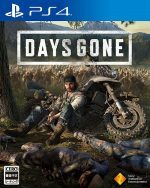 One day, many of Real Account's users are sucked into a virtual world, where they must play a survival game that focuses on their Real Account posts. When someone in the game dies, all of their followers die as well. With all of Ataru's 1540 followers choosing to unfollow him except his sister, Ataru must find a way to survive the game for not just himself, but for the only family, he has left. Real Account may not have any supernatural powers or any major fight scenes like Deadman Wonderland, but Real Account still has many similarities to Deadman Wonderland. The early arcs of Deadman Wonderland feature survival games, much like the ones seen in Real Account. The survival games in Real Account are not physical like the ones in Deadman Wonderland, but they still give the reader the same amount of suspense. 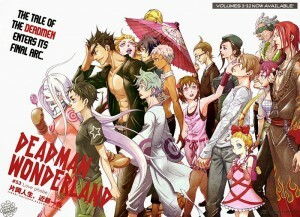 Deadman Wonderland and Real Account also dive into the complexity of humans, with Real Account showing the darker sides of people showing off the facades they put on when it comes to their social media activity, and Deadman Wonderland shows off criminals that are relatable and allows the reader to feel sympathy for them. Both manga also features a heavy amount of gore and a main character that has a deeper backstory than they are originally introduced with. Any Anime Like Deadman Wonderland ? One day, highschooler Kii Kogami has a dream of his school being attacked by killer magical girls. Unfortunately for Kogami, his dream turns out to be more than a dream when he arrives at school the next day and the magical girls show up. 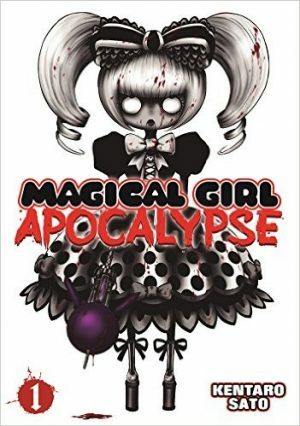 As Kii and his childhood friend Tsukune Fukumoto are running from the killer magical girls, they watch as their recently deceased classmates and teachers turn into magical girl controlled zombies. When Tsukune and Kii find a safe place in the school and other survivors, they learn that the magical girls are not only attacking the school, but they are all over the city. 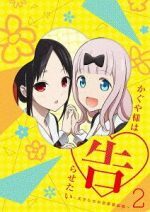 Kii sets out to find a way to keep himself and Tsukune safe and find out how to stop the magical girls. The opening scene of Mahou Shoujo of the End is very similar to Deadman Wonderland with an attack happening at the school of the main character and only a few people end up surviving. 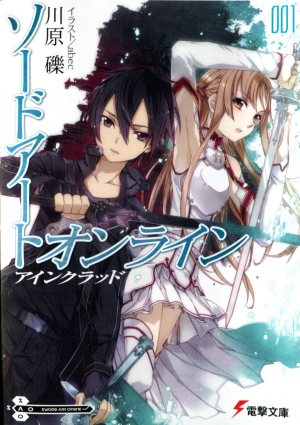 Mahou Shoujo of the End is also similar to Deadman Wonderland with how it deals with hiding the more mysterious elements of the story behind all the action and gore. The first few chapters of both manga focus on the gore and action before they start to dive into the origin of the supernatural events going on in the stories. 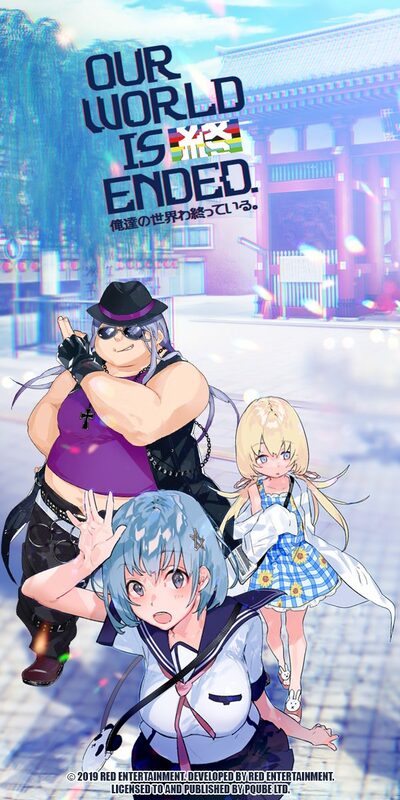 Mahou Shoujo of the End also has similarities with the main female as both Shiro and Tsukune, are also heavily involved in the lives of the main characters and have connections to the major events of each manga. The new cellphone survival game, Rabbit Doubt, has been all the rage in Tokyo. In a game of Rabbit Doubt, the players must hunt down the killer in the group before he kills everyone the game. 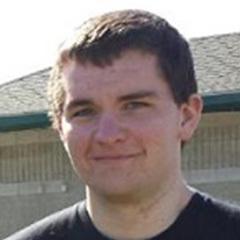 Rabbit Doubt has become so big, people even get together in real life to enjoy the game. 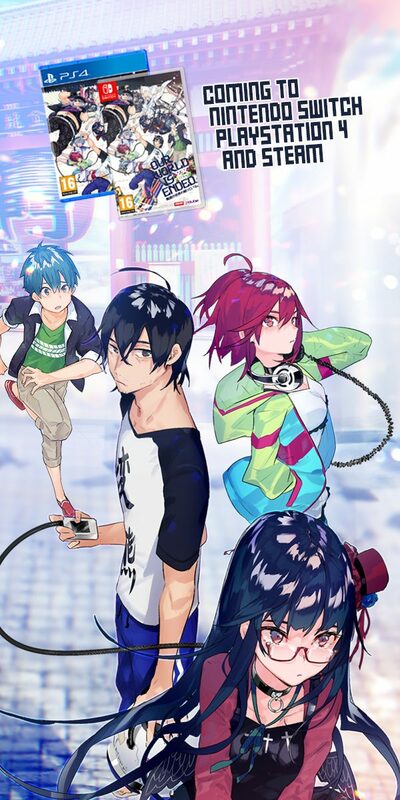 After Yuu Aikawa, Rei Hazama, Haruka Akechi, Eiji Hoshi, and Mitsuki Houyama—a group of Rabbit Doubt friends—get together at a karaoke bar, they are captured and brought to a mysterious facility. There, along with Hajime Komaba, they learn they will partake in a real-life game of Rabbit Doubt. Yuu Aikawa must find the answers to the game before him and everyone else is killed. 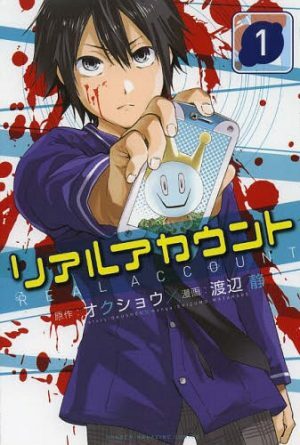 Doubt is another manga that is similar to the early chapters of Deadman Wonderland. The characters in Doubt are locked in a building and are fighting for their lives with nobody they can trust, similar to Ganta's situation in Deadman Wonderland. Mitsuki is similar to Shiro, being a character that protects and has feelings for the main character and has a larger role when it comes to the mysteries of the series. Doubt doesn't feature any supernatural powers or fight scenes, but it still manages to use a heavy amount of gore and suspense create a dark world similar to the one seen in Deadman Wonderland. As one of the Heirs of the Four Dukedoms, Oz Vessalius has been living a carefree life, but shortly after his fifteenth birthday, that all came to an abrupt end. During Oz's coming of age ceremony, he his attacked and sent into a prison world called the abyss. However, Oz is saved by Alice, the Bloodstained Black Rabbit. 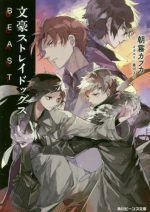 Trapped in this new world, Oz must begin to not only unravel the mysteries of the abyss but also learn about Alice, and deal with a mysterious group called "Pandora" that has taken an interest in him. Both Pandora Hearts and Deadman Wonderland feature dark worlds filled with gore and mysteries. While Deadman Wonderland does this in a much more realistic setting, Pandora hearts goes for a much more fantastical approach. 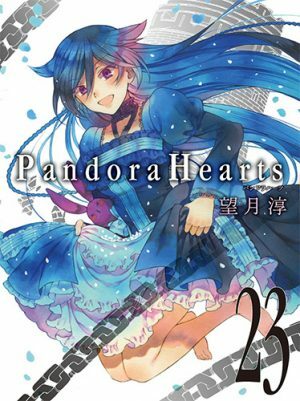 Despite the different settings, Pandora Heart's action, gore, and story progression will make you feel right at home if you enjoyed Deadman Wonderland. 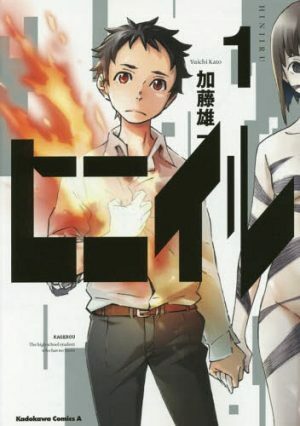 Ganta and Oz don't share many similarities in appearance and attitude, but they are similar in how they are used in the story, with both characters having to learn how they are connected to the mysterious worlds they are introduced to. Both Ganta and Oz are also seemingly fighting against everyone and they have no friends or allies they can turn to at first, they must learn to become stronger and stand on their own. 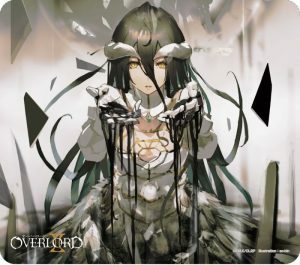 With each of these manga featuring gore and a character trying to fight against the world they are thrown into, you can't help but think about Deadman Wonderland while you read them. Hopefully, after reading through this list, you've found a new manga like Deadman Wonderland that you will enjoy. What did you think of the list? 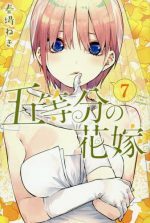 Which of these manga are you interested in reading? Let us know in the comments below.